Founded in 1984, Master Finish Body Repairs has been delivering quality workmanship, service, and value for money for over 30 years. Master Coach Builders Rhodes and Herron officially commenced business at 8 St Georges Road, Northcote in 1884. Throughout the next 100 years, this family business expanded and evolved into a thriving panel beaters and vehicle repair centre. Since then, Master Finish Body Repairs has cemented for producing quality servicing and great customer service. At Master Finish Body Repairs, we don't just repair vehicles. Our full range of panel beating, accident repairs, and vehicle customisation services is available to all vehicle makes and models, including vintage and European models. We offer custom paintjobs for motorbikes, caravans, and much more, and use the Glasurit OEM paint system to provide best colour matching and environmentally-friendly delivery. 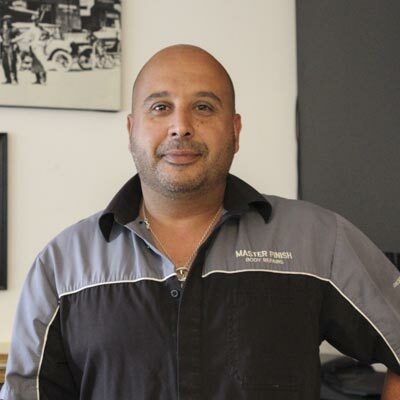 Managing Director Louie Fanourakis is a qualified mechanic, and checks over every vehicle before it is returned to its owner, ensuring the car you drive out of our workshop is safe and to ensure that our customers are aware of any issues or small problems that may arise as a result of the accident. We at Master Finish Body Repairs put our clients first. We don't have a production-line attitude and as a small workshop, we put our heart and soul into our repairs to ensure all our clients get the quality repair experience they deserve. Read more about our services, including our accident repair services and third-party recovery. 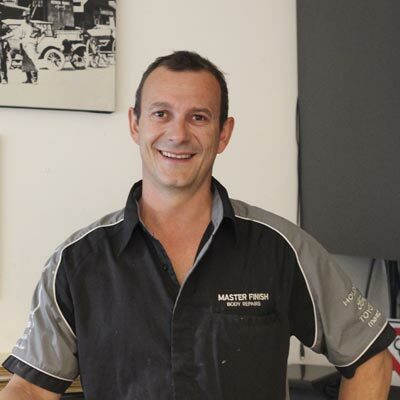 For more information or to book your car in for a repair or customisation, contact the team at Master Finish Body Repairs today.